2015 was one hell of a year for YA publishing. With so many stand-out 2015 releases, you’re better off with a book hangover than a champagne hangover. This New Year’s Eve, why not ditch the crowds, cancel the Uber and stay home with a good book…or 12? The world of YA was o FIRE in 2015! We saw breakout debut authors such as Nicola Yoon and David Arnold, veterans continuing sagas such as Sarah J. Maas and Marie Rutkoski, and characters created in one universe who made the leap to their own stories from Rainbow Rowell and Leigh Bardugo. Not to mention all the TV and film deals that went down this year. With all this talent on offer, it was no easy task for us to pick our 2015 favorites but we managed somehow (there were tears and of course copious amounts of champagne). We each picked 5 books to highlight (in no particular order), and our favorite book of 2015. So, without further ado, here are our Top 10 (plus) Collaborative Best of 2015! All The Bright Places, or ATBP for short, is simply the story of Violet and Finch, who meet on a bell tower at their most vulnerable moment. They help each other recover and walk away from the bell tower alive and with a renewed joie de vie. Told in alternating viewpoints, the story unfolds as Violet and Finch grow closer as a result of their meeting and a class project to wander Indiana. There’s a line towards the end of this book where Violet finds a map that Finch left for her, where he’s written numbers by each destination so there is “a kind of order” that makes my heart lurch every time I read it. Mostly, it evokes this false sense of comfort that eventually suicide might make sense to the survivors, that as you live and walk through time, it will offer reflection and answers. That thought, in itself, encompasses the complexity, the beauty and the ultimate heartbreak of this book. ATBP is a New York Times bestseller, won the 2015 GoodReads Choice Award Best Young Adult Fiction, #1 Kids’ Indie Next Book for Winter ’14-’15, an Amazon.com editor’s Pick/Best Book of the Month. Look for the movie adaptation of ATBP coming to theaters in 2017. 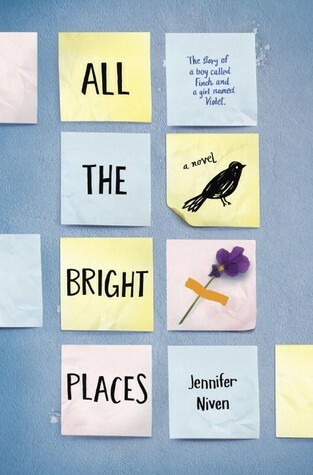 You can purchase your copy of All the Bright Places here. What caught my attention in Mosquitoland is Mim Malone’s fullproof armor of sarcasm and wit and what ensnared my heart in its vice-like grip was her sincerity and openness to new life experiences. Mim Malone is a girl running away and, simultaneously, towards her life in both a physical and mental sense. She’s a girl adrift in her own mind that is searching for a solution, which she believes to be her mother. As she departs home and embarks on this journey, Mim finds all sorts of colorful characters as she navigates her way on the Greyhound bus. These characters help to shape Mim during the course of this book and make this an unforgettable adventure in reading. Author David Arnold, in his first novel, really shines in the voices he gives to his characters and in his creative and delicate storytelling. In addition to being our first book club pick in 2015, many institutions have named Mosquitoland one of their Top 2015 picks, such as NPR, Amazon, Paste, Bustle and the Junior Library Guild. You can purchase your copy of Mosquitoland here. The Wrath and the Dawn is my 2015 top pick for romance and poetry. Not that this novel begins as either, but Renee Ahdieh weaves both into a story steeped in such horror that you’ll be surprised to find yourself falling in love with the world, the characters and especially Shazi and Khalid. This is the first of a duology, so watch out for the cliffhanger that will leave you so heartbroken and at the precipice screaming into the abyss for more. You can read our full review here. Not only did Renee Ahdieh win our hearts, but she was also nominated as a Junior Library Guild Selection, Summer 2015 Kids’ Indie Next List Top Ten Pick, Booklist Top Ten First Novel for Young Adults 2015 and as an Amazon Best Young Adult Book of 2015. You can purchase your copy of The Wrath & The Dawn here. Also, you can read more details about the second novel in this duology, The Rose & The Dagger, here. I actually read the first two installments of this trilogy this year, back-to-back with little sleep in between. Kiss of Deception was absolutely perfect in every way and I had a hard time believing Heart of Betrayal would be able to hold a candle to it. However, as my original review indicated, Mary E. Pearson proved very efficiently that she did not suffer the Sophomore Slump with Heart of Betrayal. She expanded upon the Kingdoms of Remnant in an excellently paced and played second novel continuing to expand the characters she established in the first novel while adding in new characters. Action prevailed and the story paced beautifully to it’s cliffhanger ending that only left you wanting so much more. The final installment of the Remnant Chronicles, Beauty of Darkness, will be released on July 5, 2016. 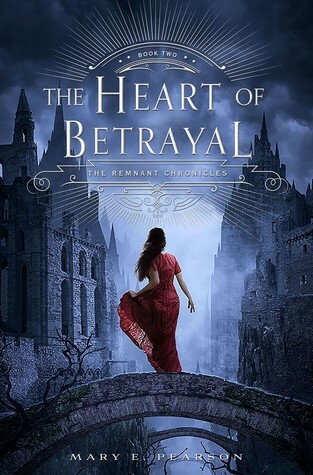 Heart of Betrayal is a New York Times Bestseller. You can order your copy of Heart of Betrayal here. Illuminae may be one of the most ambitious books of the year, but it is also one of the very best. This novel melds the very best that Amie Kauffman and Jay Kristoff have to offer to create a universe in which computers have hearts, girls save boys and those in charge don’t have all the answers. Instead of creating a bleak outlook, the characters, through a whole lot of grit, muster and sarcasm, try to make the universe a better place for themselves and their loved ones. It may not look like a typical novel, but Illuminae with capture your imagination and leave you chanting for more once the ride is over. Our original, and much longer, review can be found here. 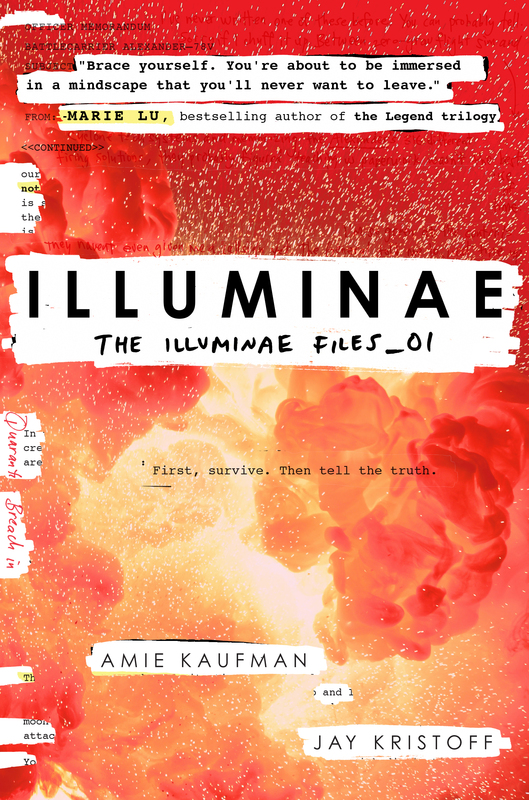 Illuminae is a New York Times Bestseller and is a 2015 Goodreads Choice Award Nominee for Young Adult Fantasy & Science Fiction. The Winner’s Crime, the second book is Rutkoski’s Winner’s Trilogy, broke our hearts all over again. Kestrel must play the betrothed to a prince she does not love in order to ensure the safety of Arin, the man she would die for and his people. In true star-crossed lovers style, Kestrel must maintain the pretense that she does not love Arin in order for her plan to work. This farce is hard enough with Arin hundreds of miles away, but when he’s called to Kestrel’s court, it becomes clear that Kestrel is not as dispassionate as she pretends to me. Exposing their true feelings can lead to both their ruin, but denying their feelings is tearing them apart from the inside out. Rutkoski mixes politics, cultural, and romance is this beautifully crafted second book.With a carefully structured plot archs and well defined characters, Rutkoski avoids the cliche tricks that some trilogies rely on to keep our interest at the mid-way point. And her beautiful covers are worth a mention. If she can keep it up with the finale The Winner’s Kiss, she will have achieved trilogy perfection. The Winner’s Crime was nominated for a Goodreads Choice Award for Best Young Adult Fantasy and SciFi. Book 3, The Winner’s Kiss comes out March 29, 2016. V.E. Schwab’s A Darker Shade of Magic shows us the addictive and malicious side of the magical world. “Magic is not about balance, it’s about dominance. You control it or it controls you”. V.E. Schwab is definitely the one in control with this artful introduction to four very different, mostly magical, parallel Londons: Black, Gray, Red and White. When Kell, one of a dying race that can travel between the parallel worlds, brings something dark and unexpected back from one of the Londons, he must undo his mistake or risk having his own world destroyed. It’s no wonder ADSoM received starred reviews from both PW and Library Journal, made it to the Amazon Best of 2015 List, and was nominated for Goodreads Choice Award for Best Fantasy (coming in a close second to Neil Gaiman). For my full review of A Darker Shade of Magic, click here. We were on the edge of seats waiting for the release of Six of Crows, our book club selection for October. Bardgo takes us back to the Grishaverse with the classic heist tale, but with more than one twist. Professional thief, man of mystery and all around badass Kaz Brekker has been hired to commit the impossible crime. In order to make it happen, Kaz must first assemble a crew that do what can’t be done. A convict, a sharpshooter, a runaway, a spy, a witch and a thief make up the gang of six who will do the impossible, or die trying. Bardugo really knows how to write characters, create conflict and make us feel like we’re right there in the port city of Ketterdam. Six of Crows made it to Number 1 on the New York Times Best Seller list and remained on the Top 10 for 8 weeks, received starred reviews from PW and Kirkus, and was nominated Goodreads Choice for Best Young Adult Fantasty & SciFi. For my full review of Six of Crows, click here. You can purchase your copy here. There’s a reason Carry On was voted Best YA of 2015 by Time magazine. Rowell’s meta-excursion into the world of the fan-fiction she creates in her previous novel Fangirl could have been a self indulgent disaster in the hands of a lesser writer. But Rowell takes the Chosen One archetype and stands it on its head with Carry On. As Rowell said in her October interview with Vanity Fair, “I wanted to reference Harry Potter in intentional ways, but I wanted the characters to feel like they had their own lives”. 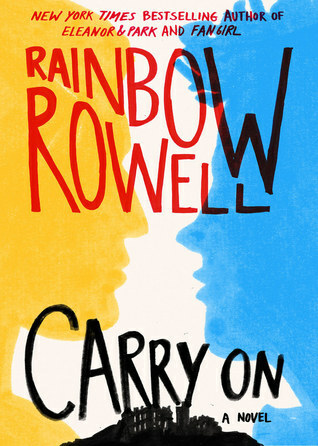 Rowell’s character came to life and all but jumped off the page, proving what YA Wednesdays has known for years: Rainbow Rowell can do no wrong! For our full review of Carry On, click here. You can purchase your copy here. Sabaa Tahir exploded onto the YA scene with her debut An Ember in the Ashes. This book is epic in scope and presents a society where the scholars have been enslaved and education is for the new elites only. Laia and her family are on the wrong side of the societal divide and must endure the empire’s rule. Laia disagrees with the Empire, but she is certainly no rebel. But when Laia’s brother is arrested for treason, a crime punishable by hard labor at best, death at worse, Laia finds herself finding no only for his life, but her people and their freedom. An Ember in the Ashes was picked Best of Young Adult by Amazon and received a Goodreads Choice nomination for Best Debut Author (coming in second to Victoria Aveyard AND a nomination for Best Young Adult Fantasy and Sci-Fi as well as making it to the New York Times Best Seller List. Not bad for your first book, Sabaa. I KNOW we were supposed to choose five books. I know it. But I felt that my best of wouldn’t be complete without one of the most interesting and vividly told fairy tales of the year. Also, I’m confident that Ann-Eliza will not mind the inclusion of just one more book. 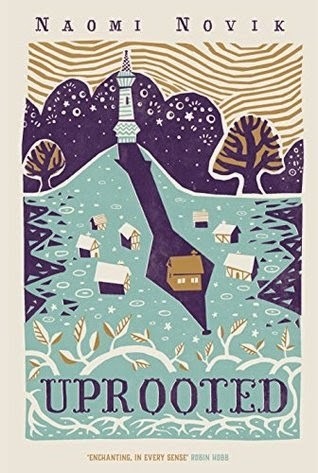 Naomi Novik’s Uprooted is a fantasy wrapped in a fairy tale and lovingly held together by our heroine, Agnieszka. Agnieszka comes from a town that is protected by a Dragon, who is not a reptile beast intent on burning the place down, as his name may imply, but a wizard who protects the town from the surrounding corrupted wood. The price he demands is his choice of a girl from the town to keep in his service for 10 years. Agnieska wasn’t supposed to be chosen, didn’t want to be chosen, hardly wants to be of service when she is chosen, but fate carries her through these things and more. One day, you will pick up a copy of Grimm’s Fairy Tales and then a copy of Uprooted, Novik’s modern fairy tale masterpiece. Uprooted is a Goodreads Choice Award Nominee for Young Adult Fantasy & Science Fiction (2015). In addition, it has already appeared on several Best of 2015 lists, including NPR. Ann-Eliza & Carmen agree, Simon vs. The Homo Sapiens Agenda is our FAVORITE BOOK OF 2015! Becky Albertalli created such a vividly adorkable Simon that I feel that I may never recover from him. Many people suffer from book hangovers, but I suffered from a Simon hangover. Even though he doesn’t exist IRL, I feel Simon, and all his friends for that matter, is a completely relatable teen–full of angst and extremes. This is a wonderful book with a wonderful lesson all wrapped up in one excellent Oreo wrapping that (young) adults of any age will enjoy. Simon vs. The Homo Sapien Agenda is a 2015 National Book Award Longlist nominee, a William C. Morris Award finalist, and a Goodreads Choice Award nominee for Debut Goodreads Author. Added bonus: Simon is coming to the BIG SCREEN. If you live in Tampa, the best bonus of all, Simon vs. is our Book Club pick for January. Join us, if you want to read and discuss it!